Back when our publisher and I were Bart Simpson–like teenagers disrupting our high school electronics class, we still wanted a great system but had no dinero. The few things we had breadboarded together hummed like a swarm of bees when a turntable was brought into play, and we scratched our heads. The doofus who was our electronics teacher wasn’t much help, so we turned to the world of kits, figuring someone had built it right once, right? So we had to be able to make this work. A hundred bucks back in 1976 was almost a month’s worth of flipping burgers. Fortunately gas was only about 40 cents a gallon, so our publisher scraped together the dough to buy the PAT-5 kit, which would be replaced the following year by the PAT-5 bi-FET version, which swapped the op amps for ones with FET transistors in the input stage. Yes, audiophilia began at a very early age. 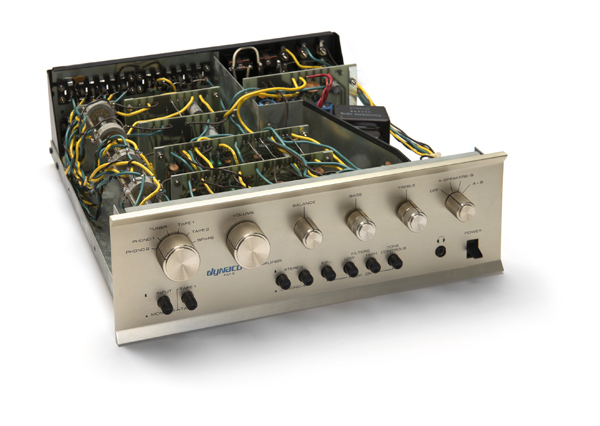 The preamplifier was straightforward to assemble, and the press of the day gave it rave reviews, claiming it a “major improvement” over the PAT-4 preamplifier, introduced in 1967, which used bipolar transistors. FETs were all the rage in the mid to late ’70s, with most manufacturers spouting that FETs would be the logical replacement for vacuum tubes. And being nerdtrons at the forefront of science, we certainly didn’t want vacuum tubes in our stereo system. Hah. The clean example you see here was purchased on eBay for 40 dollars, (with free shipping) and miraculously fired right up on arrival. Its gold faceplate is in excellent shape, and a “kit” sticker on the chassis underside indicates that someone actually built this thing. The job is a tidy one, which probably accounts for the quiet phono stage – but I digress. There are plenty of old electrolytic capacitors that could be replaced, but a few more beers sound like a lot more fun. Perhaps during one of these rainy winters in the Pacific Northwest, I’ll talk our publisher into helping me. Just like the old days. Today the humble PAT-5s have been eclipsed, but you can find them in the used bins for about 60 dollars. Not bad depreciation for almost forty years. 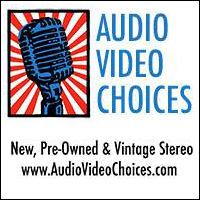 And speaking of audiophilila, Frank Van Alstine, the man behind Audio by Van Alstine, was just beginning to make a name for himself providing updates for Dynaco components – one of the first modders to be sure. 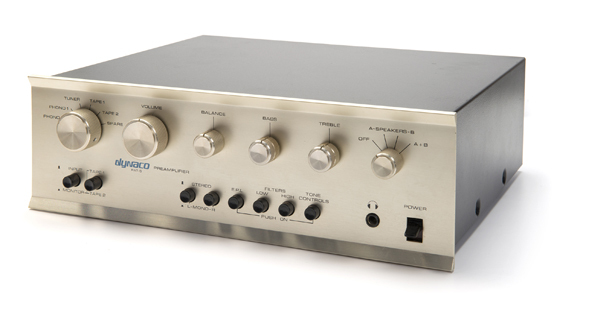 He’s still at it, offering his Insight update for the PAT-5, with virtually all of the internals upgraded, to provide a smashing preamplifier for only $799. We’ll be examining that in the near future, so stay tuned. But for the tight-budgeted music lover who craves good sound, a PAT-5 is still a great way to begin your audiophile journey, especially if you’re trying to add a turntable to the mix. The MM stage in the PAT-5 is way better than anything you’re going to find for 150 bucks at retail. That’s right, tone controls. Fortunately, they are switched out of the circuit by default and the old carbon potentiometers add a fair amount of darkness to the overall sound, so unless you have really shabby speakers, just forget about these. But what the PAT-5 lacks in neutrality, it more than redeems itself with major control flexibility. 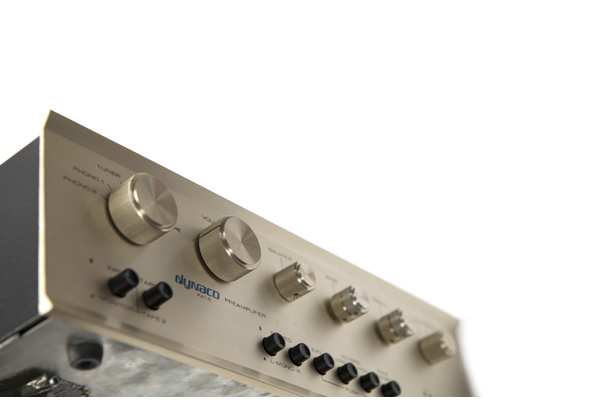 You can plug in two turntables and four high-level sources with dual tape monitoring functionality. There is even a high-level speaker selector, so you could run two pairs of speakers from your power amplifier via the PAT-5. 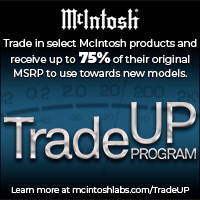 Pretty cool for those running a garage or retro man-cave system. 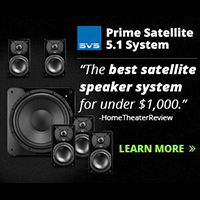 Now you can switch between your JBL L-100s and Pioneer HPM-100s with ease. All that’s missing is a neon Bud sign. 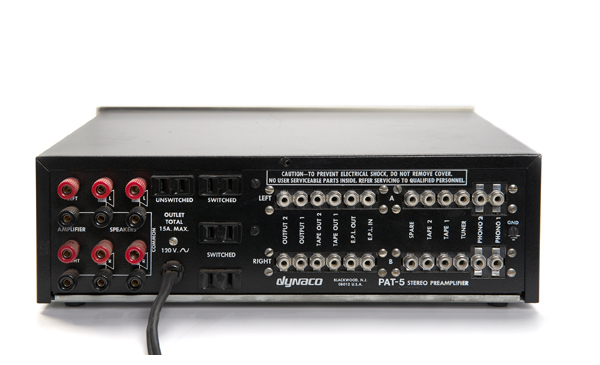 Our readers who are more inclined towards personal listening, i.e., with headphones, will be pleasantly surprised by the onboard headphone amplifier lurking under the hood of the PAT-5. Again, way better than anything you’re going to find for 60 bucks new. 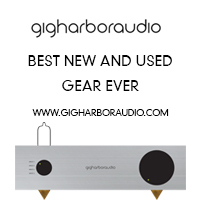 Add your favorite inexpensive power amplifier, some cool vintage speakers and you’re rocking the casbah. This particular PAT-5 is annoying my neighbors happily via a pair of JBL L-166s and an SAE 2200 power amplifier, with a total system cost of around 500 bucks, including the cost of the Technics SL-1200 table I picked up at a garage sale.